The EU LCS has begun its permanent-partnership shift with a rebrand to the League of Legends European Championship (LEC) with four new teams: exceL, Origen, SK Gaming and Rogue. New teams and larger investment into the region has already resulted in a host of huge moves with legendary Korean support Kang ‘Gorilla’ Beom-hyeon joining Misfits and the extreme rumour of Rasmus ‘Caps’ Winther moving to G2 esports with Luka ‘Perkz’ Perkovic role-swapping to ADC. Still, there are plenty of players yet to sign for a team with loads of roster spots still open. Here are the top 10 free agents in Europe who haven’t yet been linked with a team yet. With the aforementioned Perkz role swap, Petter ‘Hjarnan’ Freyschuss will have no choice but to leave G2. Often the scapegoat for G2’s struggles last season, the Swede was actually one of the main reasons behind the team’s sensational semi-final run at the World Championships. A versatile and consistent ADC who is also the best Heimerdinger player in the world, most LEC teams will be on red alert after hearing about his departure. Kim ‘Wadid’ Bae-in is Korean but he has made Europe his home, proudly representing the region with G2 at this year’s World Championships. Along with Hjarnan, he proved doubters wrong at the international tournament as they held their own against the world’s greatest bot laners including RNG’s Jian ‘Uzi’ Zi-Hao. With Mihael ‘Mikyx’ Mehle reportedly joining G2, Wadid also appears to be on a move. With his experience, proven skill and fluent English, it would be a surprise to see Wadid without a team. Erberk ‘Gilius’ Demir is one of the most polarizing personalities in League of Legends. His trash talking is just as potent as his ganks. His words were valid in Spring as he helped Vitality to fourth place in Europe. 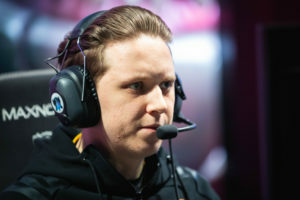 However, the team began to falter in Summer and Gilius was replaced by the experienced Kikis who revolutionised the team, helping them qualify for Worlds. It’s certainly not the end to the season Gilius will have wanted and the German will desperate to prove himself – especially as he announced on Twitter he won’t compete in LEC as teams are concerned about his attitude. Another support player, Tore ‘Norskeren’ Hoel Eilertsen impressed during his debut season and was one of the standout players on Roccat. With Roccat not making it into the LEC, Norskeren is out of contract and free for any teams to approach him. At just 18 years of age, the Norwegian has shown a lot of potential and next season could be his breakout year. 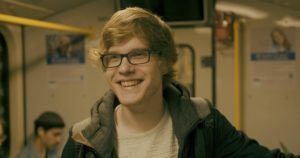 With Unicorns of Love’s departure from LEC, Jonas ‘Kold’ Andersen will also be free to look for a new team and he has wasted no time teasing his possible new organisation on Twitter – hinting at exceL, Misfits and Schalke so far. The jungler brings years of experience from both Europe and North America plus his eloquence will be appealing to teams with Kold as a regular guest on the analyst desk. Another famous bot-lane duo has come to an end as Team SoloMid announced they are keeping Jesper ‘Zven’ Svenningsen but have replaced Alfonso ‘Mithy’ Aguirre Rodríguez with Andy ‘Smoothie’ Ta. Now a free agent, there’s a good chance that Mithy could return to Europe. Mithy came under heavy criticism as he and Zven struggled to prove themselves as the best bot lane in the west during their first season in North America. Mithy is well known for is incredible in-game knowledge and leadership skills, something LEC teams may want to consider. Fabian ‘Exileh’ Schubert is looking for a new team after his two years on Unicorns of Love. The German mid-laner was typically a double-edged sword, his performances would either win or lose UoL the game. While Exileh went from hero to zero during his first season on UoL, last season he appeared to reign himself in and was a bit more consistent. Exileh definitely has a high ceiling and with a surprising shortage of mid-laners currently in Europe, a team make just take a chance on him. 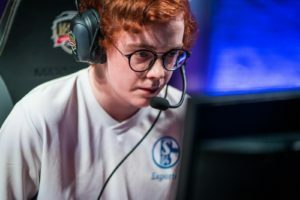 Another very experienced jungler, Maurice ‘Amazing’ Stuckenschneider proved he still has it as he took Schalke to second place in the Summer Split. Yet, it appears nobody picked him up as, like Gilius, Amazing took to Twitter to reveal he seemingly won’t compete in the LEC Spring Split. Having played for Team SoloMid, Fnatic and Origen among others, Amazing has had an incredible career and still has the hunger to compete. However, the German has admitted he’s not sure whether he will still play or become a coach next season. Left in tears on stage after making it into the final, it’s clear Amazing still has the same fire to compete since he his career began in 2012. No matter the role, his experience will be extremely valuable. Another victim to Misfits’ excellent transfer business so far, Chres ‘Sencux’ Laursen has been replaced by Fabian ‘Febiven’ Diepstraten. The young Dane showed a lot of promise on Splyce but failed to live up to his potential at Misfits. Still, with a shortage of proven mid-laners currently in Europe, Sencux will be given his time to shine once more and this time he will be more motivated than ever that he can carry a team to victory. A player we haven’t seen in a major league since 2016, Ales ‘Freeze’ Knezinek’s career came to a screeching halt as significant wrist injuries prohibited him from competing. Having impressed massively in Europe before his wrist problems, Freeze tried his luck in North America but wasn’t able to shine in the Challenger Series with Tempo Storm. The ADC is fully fit that and put in a lot of excellent performances playing in Turkey’s TCL with Royal Bandits, the same team that produced TSM’s new top-laner Sergen ‘Broken Blade’ Celik. While Freeze has announced he also apparently wasn’t able to find a team in time for LEC, teams will be forced to look at him if he continues to perform.